I always thought about two or more girls who tend to attract me for certain attributes. 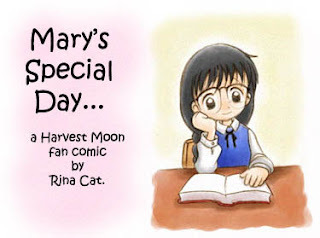 Maybe one reason why I had a crush on the Rin Takanashi lookalike for some time was because we were both wide readers. 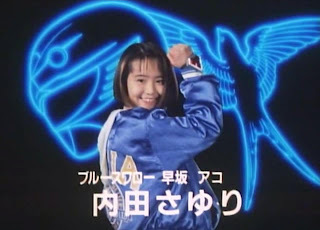 For the Sayuri Uchida lookalike, she's an incredibly smart girl who's got a passion for sciences. It made me think of which two had the better "Inner Belle" among these girls. Take note that their appearances vary from average to pretty. I had my mixed feelings for some girl who looks like Rin Takanashi. I guess part of the reason why I had a crush on her were motivated on common interests such as K-Drama, Taiwan drama, J-Drama though she's NOT Japanese but of Spanish/Filipino descent. One thing's certain... she's a pretty smart girl and any prettier girl who doesn't have her brain won't distract me that long from her. But I'm afraid that some time later, it did mutate from like to lust. Her common points with Belle is that she hates every shallow and pitiful suitor she gets. For the Sayuri Uchida lookalike, I can't explain why I even got obsessed with her appearance even when she wasn't really attractive. If I had a good reason to be obsessed with her it's the fact that she's a geek. I even figured out that while I was dating my ex-girlfriend who looks like Mika Katsumura, she was partly lingering in my thoughts. Her inner Belle is that she's a very wide reader plus she's got those trademark glasses that I like in a woman. She was another reason why I further drifted away from my high school fling and I was in denial that I also liked her personality. I think she'll be the best choice since she's got the looks and personality that I like. Meeting the really hot Amy Jo Johnson lookalike was another Belle. In her case, she's beat the other two in the looks department but not too sure about her character. She's a good girl overall but not geeky enough to have the inner Belle as the other two. So in my case, it's very easy for me to ignore what's inside of her (where her true beauty lies) because of what's outside of her (where it compliments her beautiful personality). I may have been friends with her but it's hard for me to appreciate her inner goodness. As of late, some cute geeky girl has caught my attention for potential bride. Not really pretty but I think she's got that great personality. IMO, I already consider her pretty even if part of me thinks she's just cute. So who's got the greatest amount of the inner Belle?